Traditionally, we here at Hollywood Prospectus don’t do much coverage of multimillion-dollar Silicon Valley venture capital investments. But when the recipient of a multimillion-dollar Silicon Valley venture capital investment is controversial hip-hop-lyrics-explainer website Rap Genius — controversial, I say! — then we have to get into it. For the most part, this seems like your standard tech start-up come-up story: plucky kids start website for fun and profit, blow up, cash out. The Rap Genius guys came up with a simple but innovative idea, executed it well, and then watched the traffic numbers pile up. Inspiring, instructive, etc. So in regard to Andreessen’s largesse, really, who could be mad? Who? Why, some people who love, and care about, hip-hop. The perhaps fallacious assumption at the Web site’s heart is that every rap lyric has a meaning and that the meaning of every rap lyric should be unearthed. It’s true that rap is routinely made up of arcane local vernacular, references to pop culture, snippets of other rap lyrics and even music-industry, inside-baseball jargon. Yet part of the joy of listening to a lot of rap music is having all this unfold for you as you become more familiar with it. The counterargument that the Rap Genius guys can, and have, made is that the industry is on board with their mission statement: All manner of rapper — from underground guys like Murs and Action Bronson to vets like Nas and Raekwon to current top dogs like Waka Flocka and 2 Chainz — have now come on the site to annotate their own lyrics. And the counter-counterargument would be: Rappers do a lot of crazy things? Well, it’s a bit trickier. The anti–Rap Genius stance can feel somewhat joyless: self-appointed vanguards deciding how and why hip-hop should be analyzed and appreciated. It’s something like the opposite of that. Even the most stalwart Rap Genius deniers probably wouldn’t argue the site shouldn’t exist at all. It’s more a word of caution about over-reliance. By virtue of its popularity, Rap Genius has come to provide the definitive take on lots and lots of rap lyrics. The question being — should there be a definitive take, even one offered by the rapper him or herself? You’re allowed, and should be, from time to time, skeptical, contrarian, or, if you want, willfully ignorant altogether. 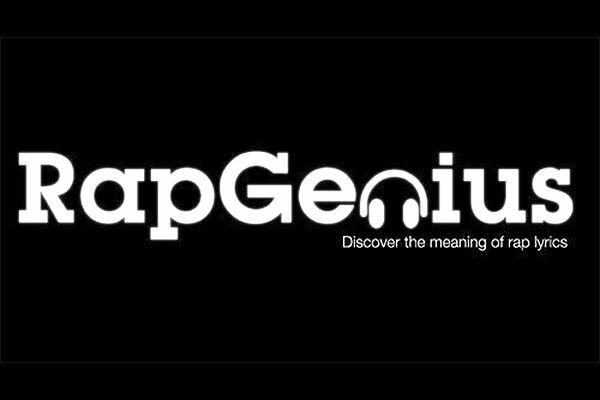 It turns out that Rap Genius has a much bigger idea and a much broader mission than that. Which is: Generalize out to many other categories of text … annotate the world … be the knowledge about the knowledge … create the Internet Talmud.